THE GINGER COOKIE: BE MY VALENTINE? 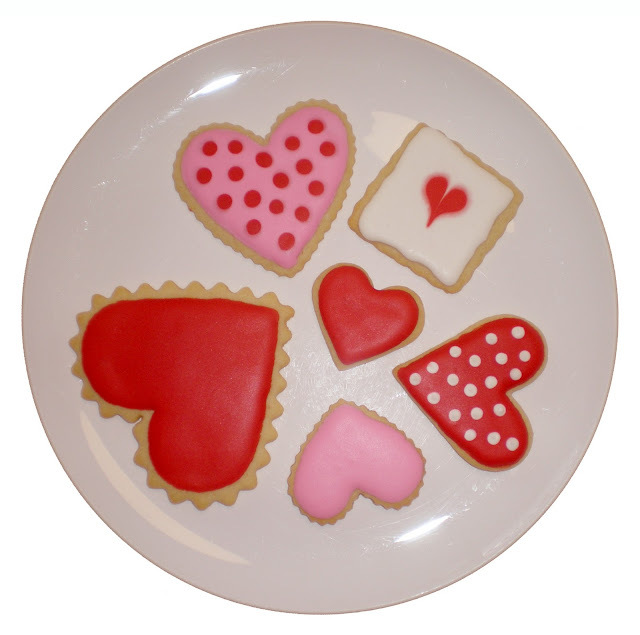 By Valentine's Day last year I had discovered the cookie bloggers and was trying new ways of decorating. And with Americolor gels getting a good red icing was easy. I decided that piping and filling with royal icing left a better edge than simply spreading the icing on the cookie. I was trying out the wet on wet technique - so perfect for making a heart by dragging a toothpick down the center of a dot. 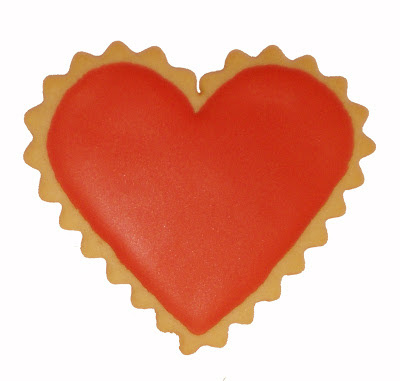 The scalloped outline in icing on that square cookie didn't turn out because the icing was too thin and the heart bled for the same reason - but I liked the look of the cookie. I love red. I love Valentine's Day - it's my birthday! So - from the archives here's a plate of sugar cookie hearts. AmeriColor has several reds. I like this bright one - it's RED RED. Thanks for the comment!